Are your eyes still filled with wonder? A letter from Mrs. Kennedy that begs the question of us all. The children are beside me wide awake, their wide eyes still filled with wonder…. So wrote Jacqueline Kennedy in a 1967 thank you letter after visiting Bunratty Castle in Shannon, Ireland with her young children (John was only six and Caroline was then just nine years old). 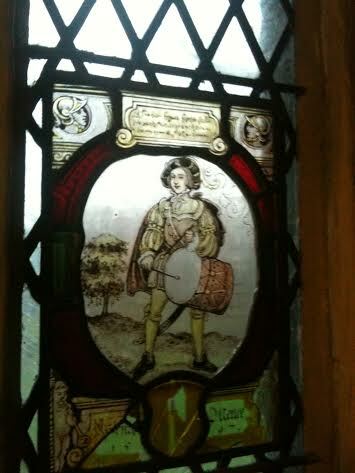 She addressed it to her host, a Lady Gort, who, along with her husband Vicount Lord Gort, had recently bought and restored the medieval castle where the kings of Ireland once entertained. The letter is on display inside today’s ground-floor castle lobby – along with other interesting Bunratty news clippings and photos that Lady Gort obviously lovingly saved in a personal scrapbook. 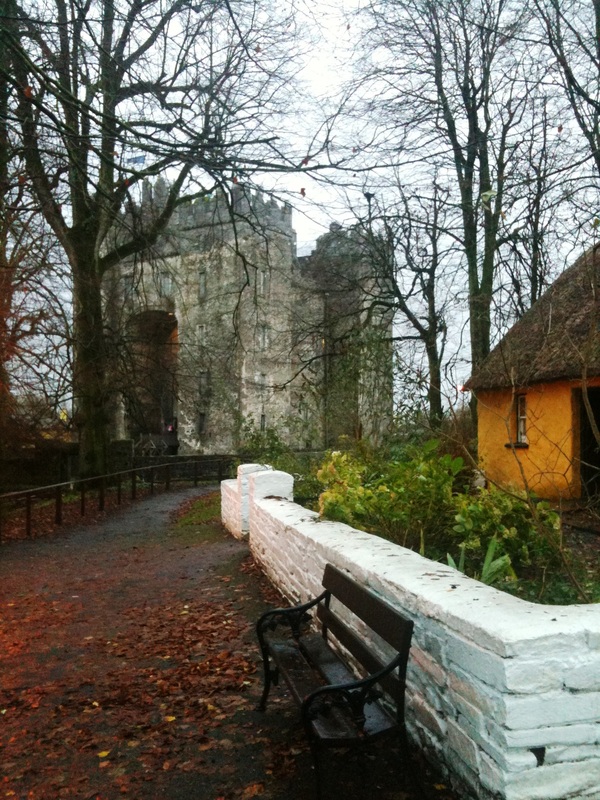 I myself quickly wandered through Bunratty this week – squeezing in a tour during a single night in Shannon – home to the airport I flew from to Chicago to present at a conference yesterday and today. I marveled at the view from atop the castle’s tower that cast out wide upon the grey, windy and drizzle-filled fields far below me. 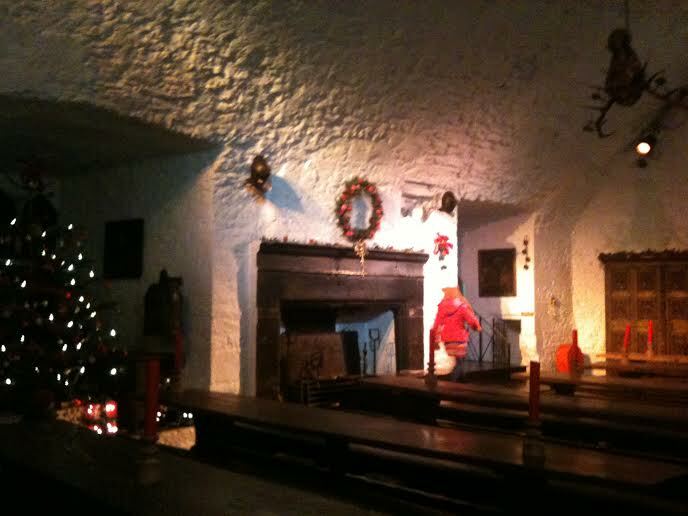 I took in the smells coming from the cordoned-off kitchen as I looked into Bunratty’s large dining hall – charmingly decorated for Christmas – where visitors can now reserve a seat on one of the heavy wooden benches that fill the room and enjoy a “medieval feast.” I wondered if this is the same room that the Kennedys dined in back in 1967 on ‘pigs cheeks and smoked salmon’ according to a newspaper article included in Lady Gort’s scrapbook. But most of all, I thought about the kindness and courtesy shown by Mrs. Kennedy in her letter. She wasted no time making the effort to hand-write a thank you letter. She took note of the wonder sparkling in her children’s eyes. No doubt the excitement of the visit was shared by her. Children’s happiness can be delightfully contagious. During this busy end of year business season, when many companies may be piling on the work-load and stress to wrap up Q4, how important is it, too, to remember to tap into our child-like senses and wrap up the season – and presents – with a spirit of gladness and yes, of wonder. We can keep that spirit alive inside of us. It may just take a little effort to dig deep down and reawaken it. P.S. and yes, my sincerest apologies that I did not take a photo of Mrs. Kennedy’s letter in the scrapbook. 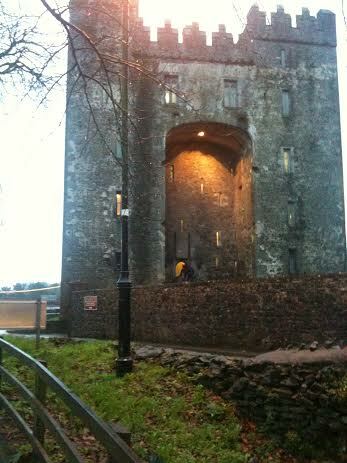 I promise that when I go back to Shannon, I certainly will – and post it here!